Though we have all heard stories, you may think that you will never encounter a driver who is sleeping while driving. Or, as is even more likely, you may think you could never fall asleep while driving yourself. Unfortunately, statistics suggest that drowsy drivers are not uncommon. According to a report by the Governors Highway Safety Association, an average of 328,000 drowsy-driving car crashes happen every year. At least 109,000 of those crashes caused injuries and over 6,000 deaths occur annually as a result of drowsy-driving crashes. These incidents happen in our own community. It was reported in a recent video by NBC-2 News that a man, who had fallen asleep while driving in traffic, almost ran over an officer before he was awakened and arrested by the Cape Coral police. The man was subsequently arrested after he failed a field sobriety test and the officers found a firearm and ammunition in the vehicle. Alcohol was clearly a factor in why this man fell asleep at the wheel. However, drivers become drowsy while driving for many reasons, most of which do not include being under the influence of a foreign substance. Why Do People Fall Asleep While Driving? Lack of sleep – this is probably the biggest culprit. It is recommended that adults get between 7 and 9 hours of sleep every night. Over a third of Americans regularly do not get enough. 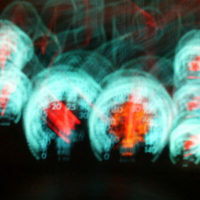 Medical conditions – everything from undiagnosed sleep disorders that people are not aware they have to those diagnosed, including conditions such as narcolepsy and sleep apnea, can affect a driver’s ability to stay awake on the road. Long drives – long drives are often monotonous, especially when on rural roads or on long stretches of highway. Stress – it can prevent sleep during the night and disrupt sleep patterns to the point that it leads to falling asleep while driving. What are Warning Signs of Drowsiness? If you see another driver on the road who is exhibiting several of these signs or other erratic behavior, put as much distance between your car and theirs as you can. Do not attempt to pass the driver. As soon as it is safe, pull over and call 9-1-1 to report the vehicle to authorities. And most importantly – avoid getting behind the wheel if you are drowsy unless absolutely necessary. Have You Been in an Accident Where the Other Driver Fell Asleep at the Wheel? Contact Us Today. If you or a loved one has been injured in an accident where the other driver fell asleep, contact us today. The Fort Myers personal injury attorneys at The Pendas Law Firm are experienced in helping people like you recover the compensation that you deserve. Contact us today to schedule a free initial consultation.